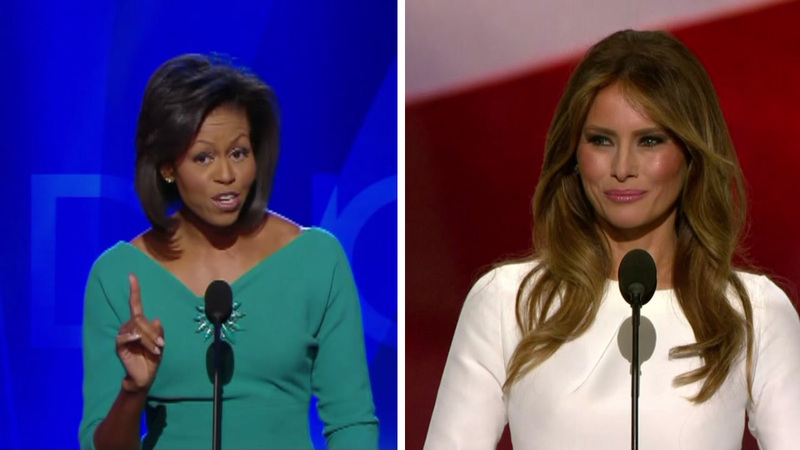 ABC13's Steve Campion examines the question of plagiarism surrounding Melania Trump's speech. HOUSTON (KTRK) -- With Melania Trump's RNC speech making headlines, do you know what plagiarism is? Eyewitness News took the question to two experts. Houston Community College Librarian Bill Hord helps students every day. He said the issue of plagiarism comes up often in the classroom. "Plagiarism is very simple. It has a simple definition. Using other people's words and ideas without giving them credit," said Hord. "So if you use someone's exact words and don't put them in quotes and don't indicate those words came from someone else, that's plagiarism. If you take an idea from another source and put it even in your own words without giving them credit for the idea, that's plagiarism". Hord said at a collegiate level the consequences can be serious for plagiarism. Students might be suspended or expelled from school. Did Melania Trump's team lift passages from Michelle Obama's 2008 speech to the Democratic National Convention? "Plagiarism is often thought of as theft. A lot of people think of it as a kind of literary theft but it also can be thought of as fraud," said Hord. "Because when you plagiarize if you do it intentionally certainly, you're representing some work as your own when it's not." Neha Gupta owns the tutoring company Elite Private Tutors. She makes sure her 30 coaches warn students about the dangers of plagiarizing their work. "When we work with the student, we talk about the gravity of how important this is in terms of plagiarizing and how to cite your information properly. My whole team is trained and knows exactly what to do especially when it comes to the college admission process," said Gupta. "Regardless of political views if you take a look at Melania's speech against Obama's speech, there are paragraphs that are lifted from one speech to the other. The issue with that is plagiarism is a serious problem. There were no quotes. There was no paraphrasing. That's a major issue when you take a look at the political debates and how it does affect the way students look at their writing and what's appropriate and what's not appropriate." Gupta also said advanced software like Turnitin.com have helped professors catch plagiarism. "Although most people say it's only 7 percent, the real question is where do we draw the line?" said Gupta.